KYOTO - For Japan to achieve its goal of reducing household food waste by 50 percent by fiscal 2030 compared with 2000, consumers and manufacturers need to change how they think about food, participants at a recent meeting on food loss said. The goal is part of efforts to meet the United Nations sustainable development goals (SDGs) for 2030, which include halving per capita global food waste at the retail and consumer levels and reducing food loss along production and supply chains. Worldwide food waste amounted to 13 billion tons annually, or one-third of worldwide food production, according to a U.N. report in 2011. “The volume of food loss in Japan amounts to 6.46 million tons annually. That’s twice the volume (3.2 million tons) of food assistance provided worldwide,” Kyoto Mayor Daisaku Kadokawa said Tuesday at the meeting of central and local government officials, academics, and local businesses leaders working on the issue. Kadokawa was citing figures from a 2015 Environment Ministry report and a 2014 analysis by the United Nations World Food Programme. As awareness of the problem grows, efforts by local governments, business groups and nongovernmental organizations to reduce food loss are picking up steam in Japan. To reach the Japanese government’s 2030 goal, speakers suggested that the food supply chain and Japan’s changing demographic makeup should be key considerations. The government could start with reviewing the so-called one-third rule, which governs how packaged food in particular is produced, distributed and sold with expiration dates. “In the event of a product with an expiration date of six months, the manufacturer has two months from the day the food was made to get it on the shelves of a supermarket. The supermarket then has two months to sell it, and you’re supposed to eat it within the remaining two months,” said Takashi Saito, a top official of the Kansai branch of the Japan Chain Stores Association. “To change the one-third rule, manufacturers need to discuss sales methods that take into account when people will actually eat the food, and consumers need to have a proper understanding of the expiration date, which doesn’t mean the food must never be eaten after that date,” Saito added. Some restaurant owners are also making efforts to combat food waste with innovate business models. 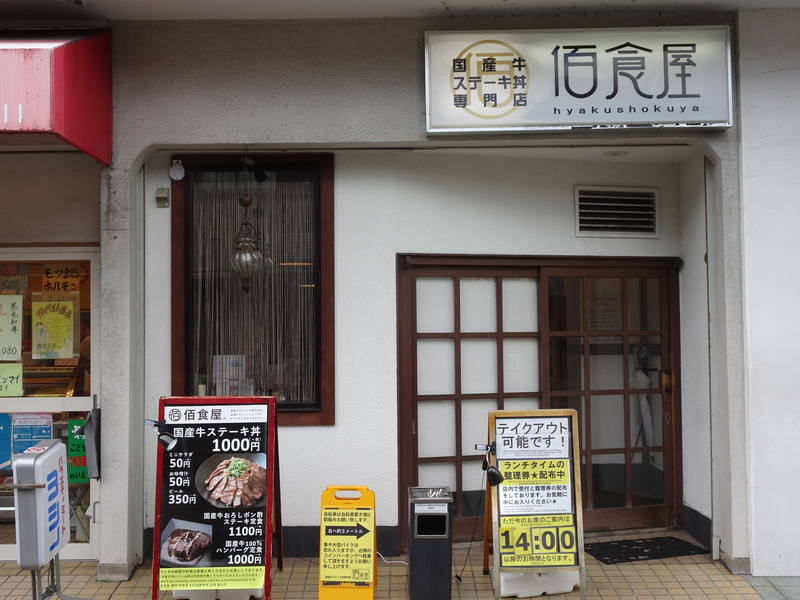 In Kyoto, a beef steak bowl restaurant called Hyakushokuya (Hundred Meals Restaurant), has been open since 2012. Open only at lunchtime and with just a few beef options on the menu, Hyakushokuya serves only 100 meals a day. The concept has proven popular, with some customers having to wait for an hour or more for a seat. On the consumer side, education and raising public awareness of food loss reduction is just as, if not more, important than business measures. That can be difficult in today’s media environment. Japanese who remember the immediate postwar years of starvation and food scarcity are particularly concerned about the way food consumption is portrayed in the media today, especially on television. “It’s really a waste to see these television shows where reporters just stuff their faces. 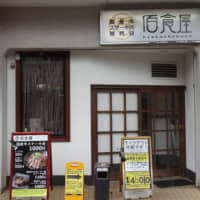 Do they set a good example of how food should be consumed?” asked Eiichi Takahashi, the 14th generational owner and head of Hyotei, a 400-year-old traditional Japanese restaurant in Kyoto.